Let Corefact help you become the best agent in town. Below is a free business plan for you to use. Use this free content to make sure you're prepared for the upcoming year. Creating a marketing plan doesn’t have to be hard. Use this marketing plan to plan for the year ahead. Start by figuring out this year's goals: how many transactions you need to close, total overhead cost per transaction, and the breakdown to achieve your income goal. From outlining your financial and prospecting goals to planning this year's budget, this free business plan template covers it all. 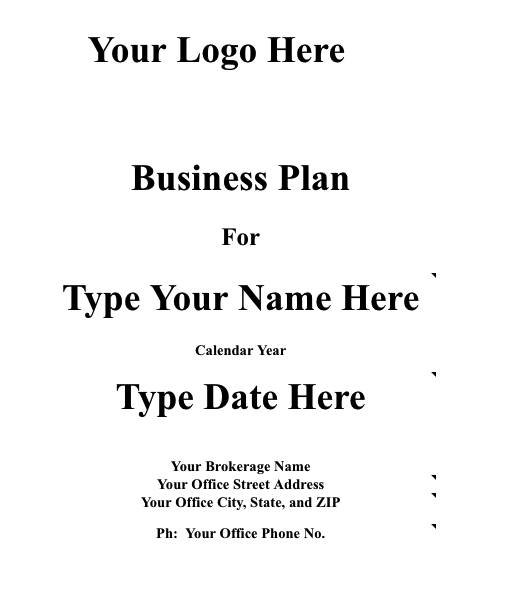 Click on the preview below to download your free business plan template. Do not confuse a business plan with a goal. Any real estate agent can set a goal, but only top producers and true real estate professionals create and use a good real estate business plan. Download and fill out this marketing calendar. Following it will keep you on the fast track to success. Have a strategic approach for your marketing budget. Keep track of what you spend your money on—and don't spend money on something that isn't working.